This ability to gather data globally is key to understanding how to leverage the power of NCover Desktop. When setting up any project the first question you should ask is, What process do I want to cover? 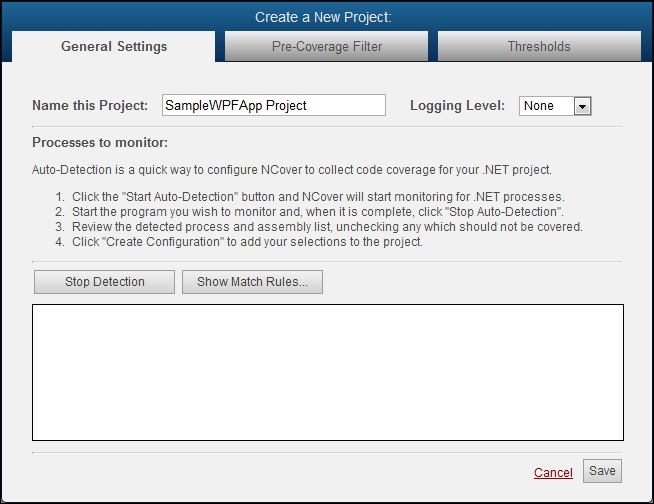 If NCover can find the service that's exercising your code, it can collect coverage data. From the Home view of Desktop, click Add New to open the "Create a New Project" window. From the "General Settings" tab, name the project. Finding the right process to profile is the key to successful coverage. Profiling is accomplished with match rules, so let's talk about how they work and the options for creating them. In the Processes to monitor: section, specify a Type and a Value to create a Match Rule for the IIS process. You could use either Type of rule here -- an Exe ("CustMailer.exe") or a Regex ("CustMail*."). The General Settings tab will switch to the Auto-Detection view and start monitoring for .NET processes as soon as you click on Auto-Configure. Start your application, and the executables and assemblies that are being loaded will display in the detection window. Review the list and uncheck any items that shouldn't be covered. Click Stop Detection when your selections are complete, and Restart Detection, if necessary, to re-capture your processes/assemblies. 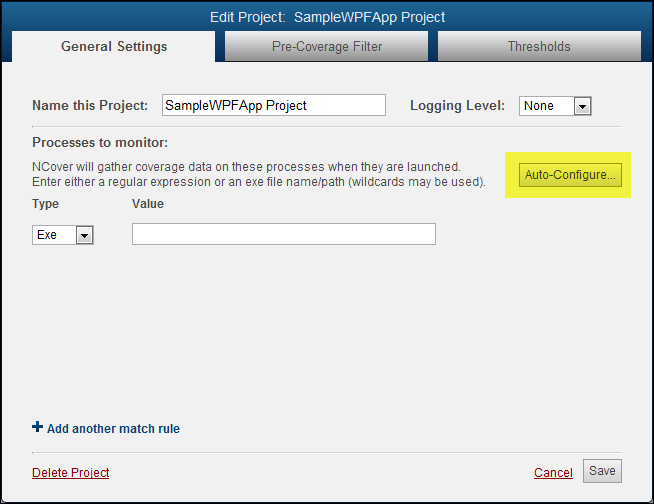 Click Show Match Rules to view the processes you selected. 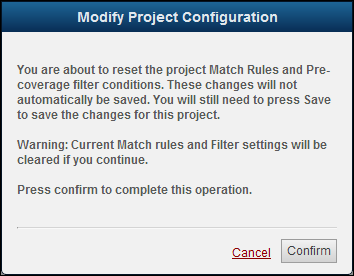 Note: If you have already saved project settings, a pop-up will alert you that confirming the configuration will reset the Match Rules and Pre-Coverage filter conditions, but these changes are not automatically saved. You will still need to press Save to commit the changes for this project. Click Save to accept these selections, or Auto-Configure to start over. Note: "Include" filters will be automatically created based on the detected modules that you selected. You can review the filters on the "Pre-Coverage Filter" tab. When your tests are complete, don't forget to stop or cycle the service to end profiling and allow NCover Desktop to collect coverage data.